Complete Town Meeting Election Coverage Tonight at 7pm on WBTV-LP! Tune in to WBTV-LP tonight starting at 7pm for complete Town Meeting election coverage! WBTV-LP is teaming up with Channel 17 Town Meeting Television to bring you the latest election news. Hosts Diane Meyerhoff and Matt Kelley will provide live coverage, including the results of Burlington City Council races, ballot items, voter interviews, results from other Chittenden County communities, and more. 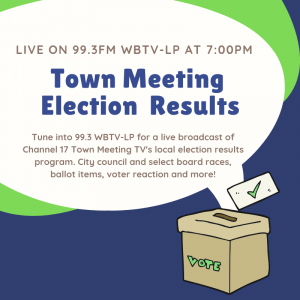 Join us tonight starting at 7pm for live Town Meeting coverage – on your dial at WBTV-LP 99.3. Meet Cindy, Host of Disney Bound Radio on 99.3 WBTV-LP! Meet Cindy, host of Disney Bound Radio on 99.3 WBTV-LP. Disney Bound goes through the history of Disney, chronologically moving through the decades. Q: Why do you broadcast from WBTV-LP? A: Why do I broadcast from WBTV-LP? Well first off they gave me a program, so that’s my number one reason to choose this station. I actually found out about WBTV-LP through their website, I was listening to Blue Suede Rock and I really liked the song list that was being played. I wanted to learn more about some of the Elvis songs that were on their program so I went to the website and found out that training was coming up to be a programmer and thought, “I might as well share my love of Disney with the people that listen.” My friends and family had started to not care as much about my Disney knowledge so I decided to share it with the community. Q: What makes WBTV-LP unique to you? A: I think the freedom to do what we want with programs, there’s a little less regulation around what programs we can have and what songs we can play. I like the fact that it’s really small, I’ve met most of the programmers just around the studio, and that’s really special. Q: What is your show? A: Disney Bound Radio is a Disney through the decades radio program. We started in the 1920s, 1923, with the Alice comedies. We’re going up through the decades from there, we are currently in the 1960s. I started out doing one decade per show, and now we’re slowing way down. The 60s is going to be a five part series, with two years per episode. Can’t wait until we get to the 90s, that’s gonna be like, half a year per episode. Q: What is different about your show? A: We dive into things that are a little bit different than what the regular Disney stuff is, it’s not all about princesses, pink, and parks. I’ve been highlighting the racist aspects of early Disney and the gendered norms that have been going on. I’m not afraid to talk about things that are maybe a little uncomfortable. I think that’s something that really sets the program apart. I also play trailers for all the movies, so we get to listen to all the trailers for all the movies. That’s been a lot of fun trying to find all the trailers. Listen to Disney Bound every Saturday from 12:00-2:00 P.M. on 99.3FM WBTV-LP, or online at 993wbtv.org. Meet Skeeter, Host of The Quiet Storm on 99.3 WBTV-LP! Meet Skeeter, host of The Quiet Storm on 99.3 WBTV-LP. The Quiet Storm is a smooth jazz and R&B program, here Skeeter discusses how it came to be. Q: How did your show start? 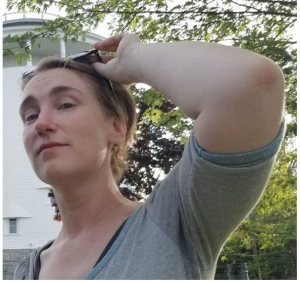 A: I started the program over 20 years ago over at WGDR, the Goddard College station in Plainfield. For most of its history, it was a locally produced program geared to a local audience in central Vermont. Then, by 2009, I noticed that smooth jazz as a music format was disappearing from commercial radio airwaves. I also knew there was a very fierce, loyal fanbase for that type of music. For 3 years, in addition to my gig at WGDR, I was also an overnight DJ on the weekend at The Point FM. The program director at The Point back in 1998, happened to be listening to The Quiet Storm on WDGR and within a week I got an email inviting me to audition. That experience in commercial radio taught me a lot and gave me insight to develop my show into what it is now. Q: What was the inspiration for The Quiet Storm? A: I had lived in the San Francisco area for 12 years before I moved to Vermont. During the time that I lived there I found myself, as a listener, switching back and forth between two stations. One was an all smooth jazz station and a 24-hour quiet storm R&B format. So when I created The Quiet Storm in 1998, I did it more or less to pay homage to those two stations. It’s a 50/50 mix of smooth jazz and R&B. I present it in a style of triple A; album, adult, alternative. Listen to The Quiet Storm Tuesdays from 8:00-10:00 P.M. on 99.3 WBTV-LP, or online at 993wbtv.org. 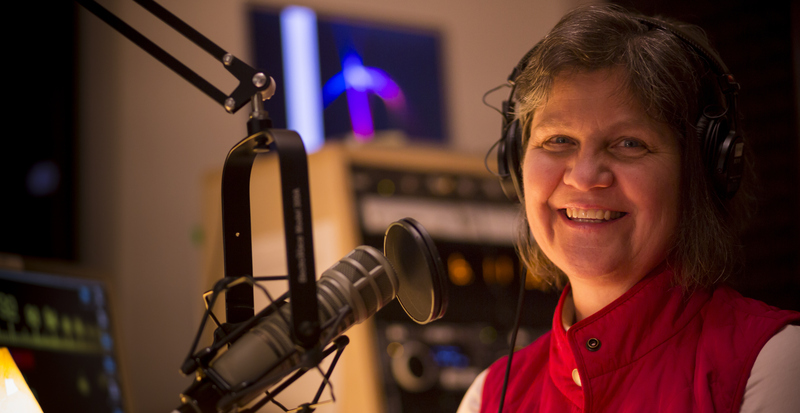 Meet Katherine Stamper, Host of Present Time on 99.3 WBTV-LP! Meet Katherine Stamper, host of Present Time on 99.3 WBTV-LP. Katherine interviews people with interesting or unusual stories, talking about important local issues. Q: What sets your show a part from similar interview shows? A: What sets my show apart from other similar interview shows, is that I’m very intentional in trying to bring those less represented in our society to the microphone. 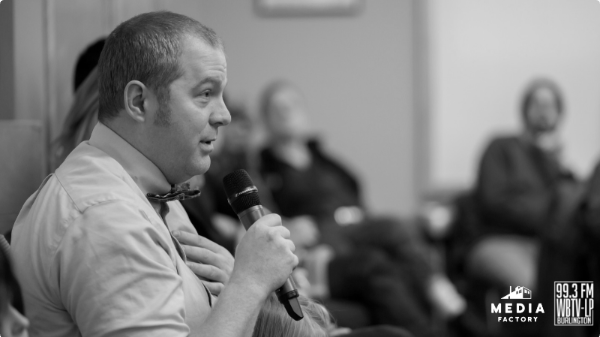 So I like to interview people with interesting stories; I’ve brought in a lot of refugee folks, people representative of nonprofit organizations doing some really important work. 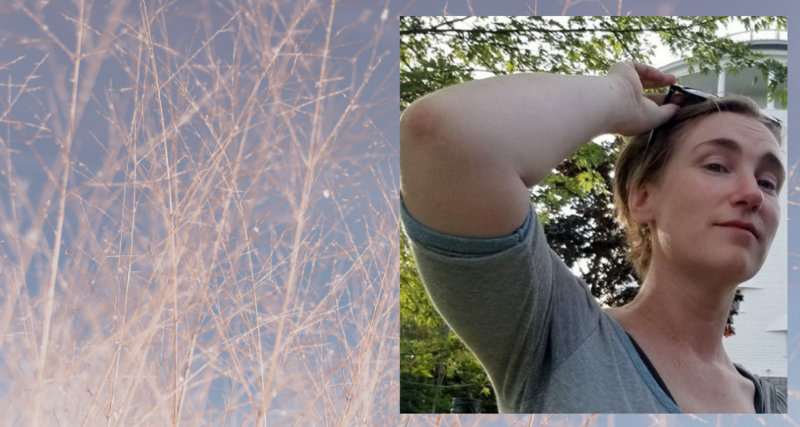 Vermont is this bucolic, beautiful state and with all that beauty there are still people struggling with some pretty significant human services related issues. It’s giving voice to those who we might not otherwise hear. Q: How do you chose the music for your show? A: The music that I play tends to be music from film, simply because I love film. There’s no necessary connection, I just try to give people some good music to listen to before the interview starts. A: I think what sets WBTV-LP apart from other radio stations is that the content is created locally. We are not beholden to advertisers and there’s an amazing diversity of voices that are brought to the microphone here. Q: How did you come about broadcasting from WBTV-LP? A: I broadcast from WBTV-LP because a friend of mine told me about this opportunity and I am a mid-career, nonprofit professional and I thought, “Why not try something new?” Being on radio sounded exciting and it also sounded terrifying. It’s ended up being a really amazing experience and it’s right here in Burlington with this wonderful facility and wonderful resources. Listen to Present Time every other Friday from 9:15-11:00A.M. on 99.3FM WBTV-LP, or online at 993wbtv.org.